You need more than just a digital giving solution or mobile app. You need a comprehensive platform that meets members where they are and encourages them to take the next step in their faith. With Pushpay, that’s exactly what FEC churches get. Enter your information below to learn how Pushpay is partnering with the FEC to inspire generosity in evangelical churches across the U.S. World-Class Security and Support - Pushpay’s platform is supported by more than 90 software engineers, and their customers are cared for by over 100 support team members. 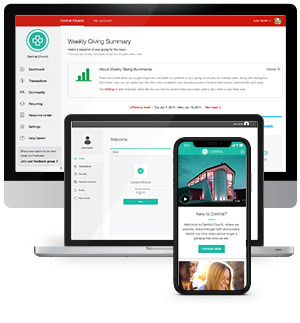 Reduced Pricing for FEC Churches - Through our partnership with the Fellowship of Evangelical Churches, we are pleased to offer discounted pricing for any FEC church who gets started with Pushpay. Fill out the form above to learn more. Custom Resources for the FEC - Take advantage of custom onboarding plans and launch resources that will speak directly to your ministry context. You’re never left to “go it alone.” Pushpay walks with you every step of the way! Pushpay helps us leverage the power of digital giving and mobile technology in a way that is simple, effective, and ultimately life-changing. We couldn't be happier to partner with them and recommend them to all churches in the FEC.